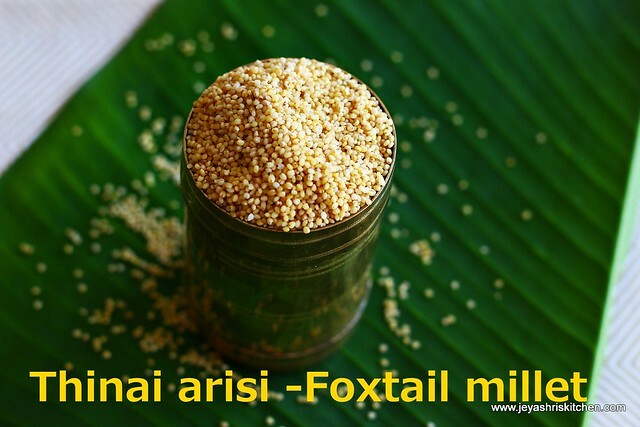 Thinai arisi | Foxtail millet ( Kangni in Hindi, Kora in telugu | Navanne in Kannada |Thina in malayalam ) is an easily available millet variety. My mom made kheer during our trip to India in june. I thought i will give it a try so that it will be helpful for those who make kheer | sweet everyday for Navratri . For my readers in Singapore, Thinai arisi is available in Mustafa center ( in the sugar section) and also in few shops in little india. 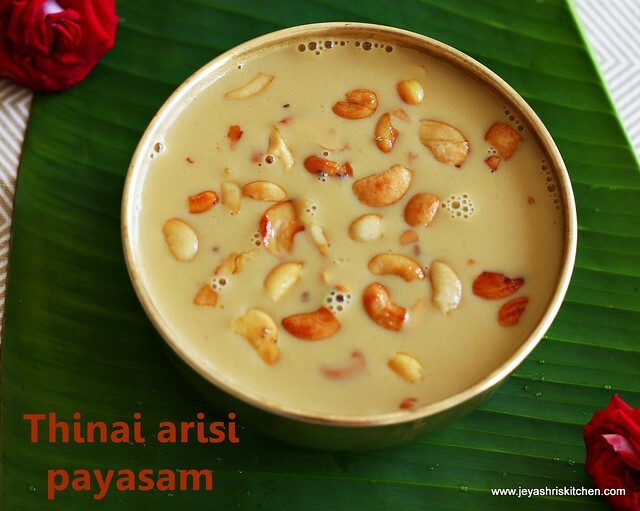 Check out my Navaratri 2014 combo recipes. 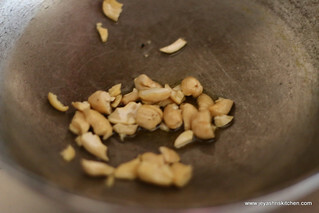 Add ghee in a pan and roast the cashew nuts and keep it aside. 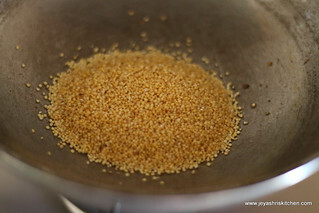 In the same pan add the thinai and dry roast it for few minutes . Add 1 cup of water to this . Let it boil till it becomes soft. It took 20 minutes to get the thinai to get cooked. If you want you can cook in a pressure cooker for 2-3 whistles. 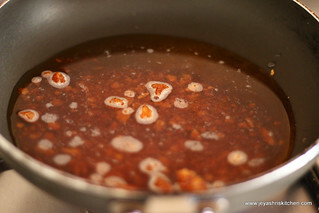 Meanwhile melt jaggery in a pan and filter the impurities and allow this to boil for 5 minutes in a low flame and switch it off. Boil the milk also and allow this to cool completely. 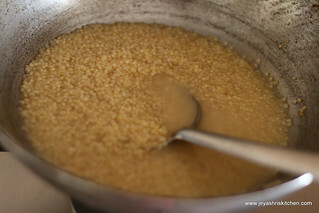 Add the melted jaggery to the cooked thinai and boil for 2 minutes. Switch off the flame. Allow this to cool a bit and add the completely cooled milk. 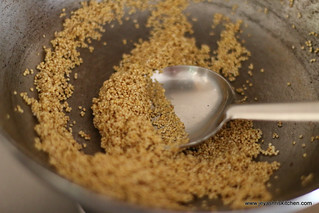 Add cardamom powder, sukku(dry ginger) and roasted cashew nuts. 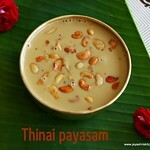 Thinai payasam is ready for neivedhyam. 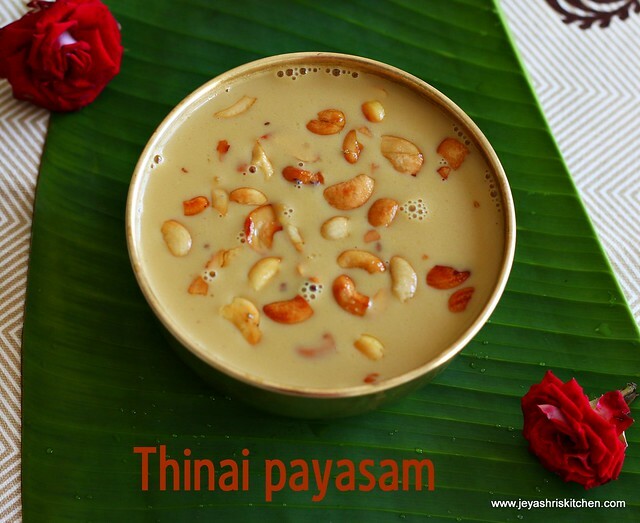 You can add ghee roasted coconut bits to the payasam. 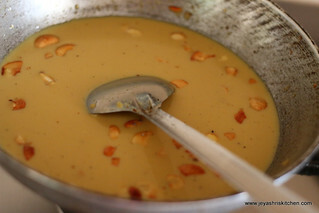 1-2 tblsp of moong dal can also be added to this. 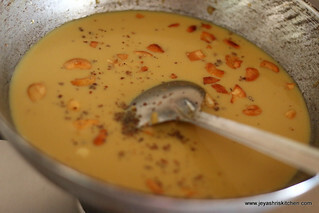 Never add hot milk to the jaggery mixture. the milk will get curdled. You can add chilled milk from the refrigerator too. 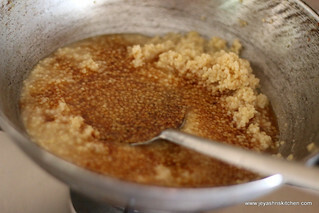 But allow the jaggery thinai mixture to cool and then you add.